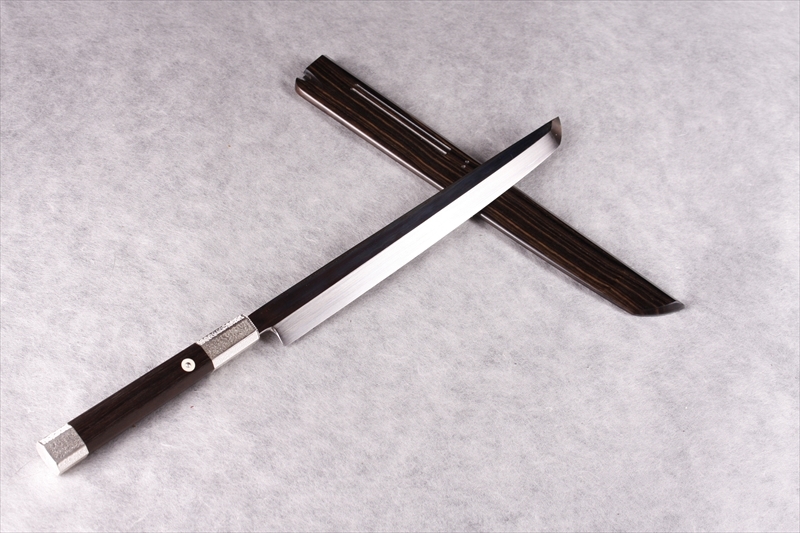 Our company was established in 1917, and since then, we have introduced many Japanese knives to the world and made a contribution to Japanese food culture. 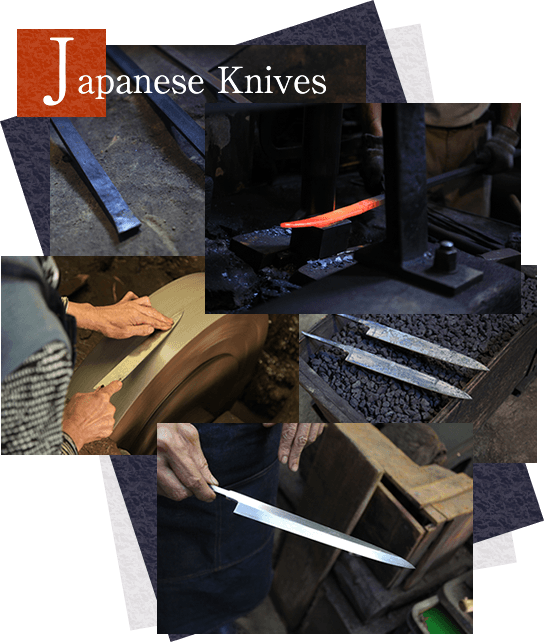 Sakai’s Japanese knives are made by a division of labor between smiths, hatsuke artisans and handle making artisans, and their traditional skills have been handed down for generations. Here at Takahashikusu, we gather together the skills and passion of these artisans and produce and finish each knife carefully. And we plan to keep contributing to the world of food culture by providing quality knives made in Sakai as well as other areas of production. We hope you try our knives. 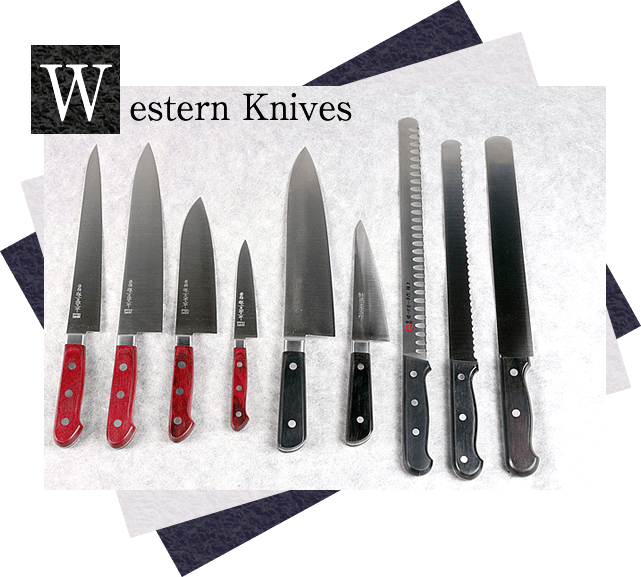 We sell not only Japanese kitchen knives, famous for their 600-year-old tradition in the city of Sakai, Osaka Prefecture, Japan, but also a variety of high quality Western style kitchen knives made in Japan. 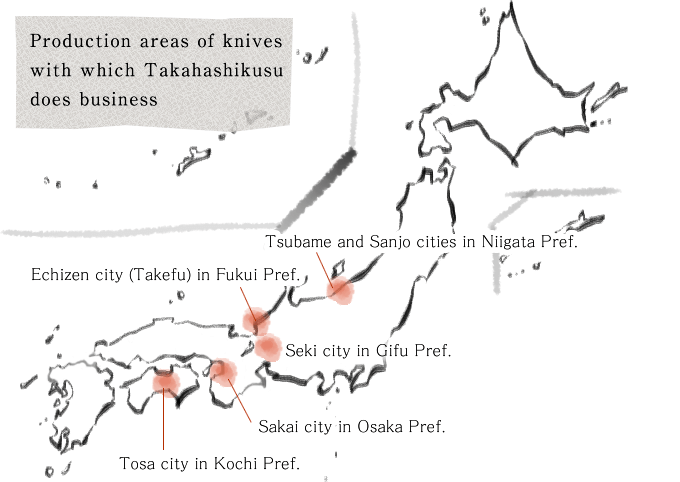 Takahashikusu directly does business with manufacturers and artisans in famous production areas of knives in Japan, such as Seki city in Gifu, Echizen city (Takefu) in Fukui, Tsubame and Sanjo cities in Niigata, and Tosa city in Kochi, in addition to Sakai city. 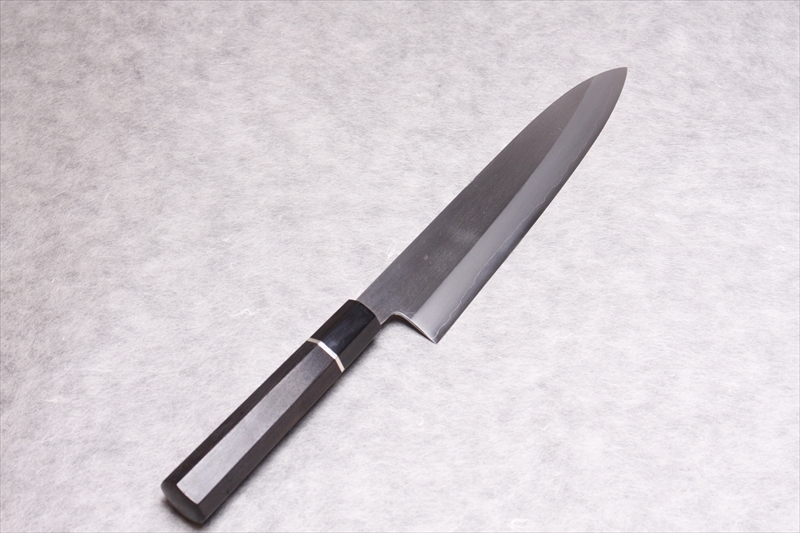 We provide exquisite Japanese kitchen knives created by skillful craftsmen in Sakai. 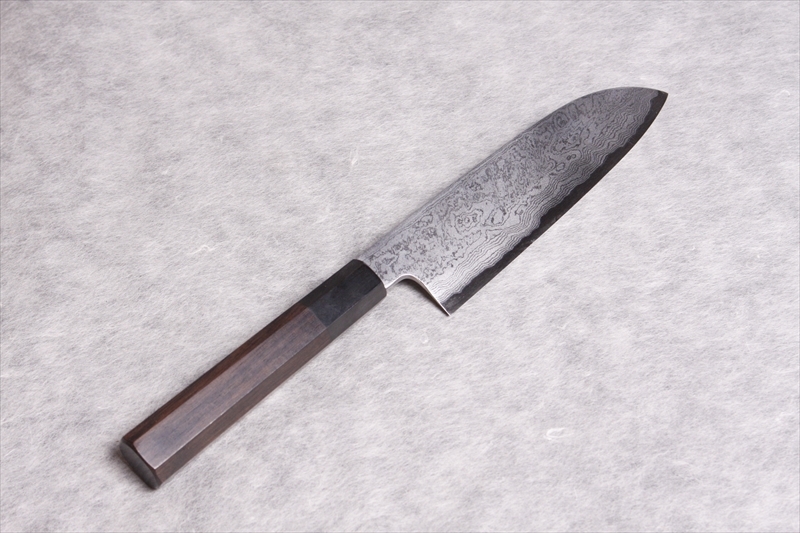 The features of Sakai Knives are that they are single-edged and are forged. Since they are single-edged, they have a very sharp edge, and their excellent sharpness maximizes the taste and flavor of the ingredients. 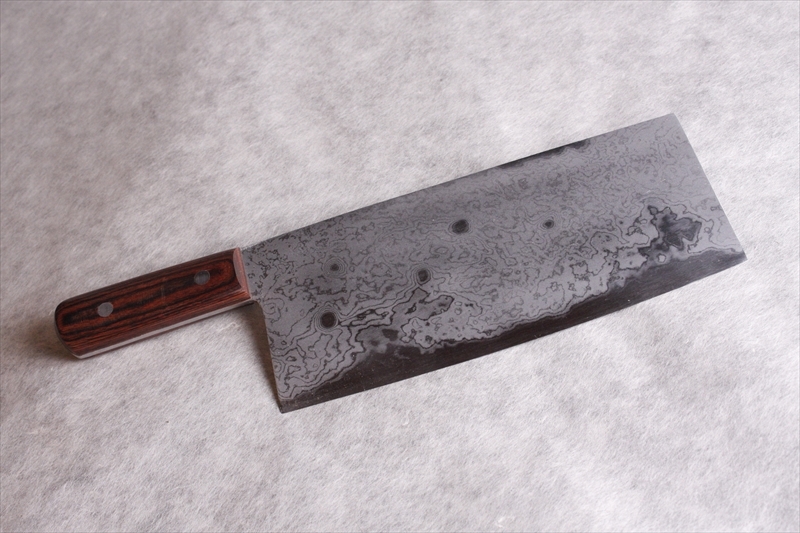 Also, forged knives whose name in Japanese come from hammering many times are hard-to-chip because the molecules of steel are made fine by hammering and have an elastic, tenacious, and long-lasting sharp edge. We outsource the manufacture of Western kitchen knives to excellent manufacturers in several areas famous for such knives. 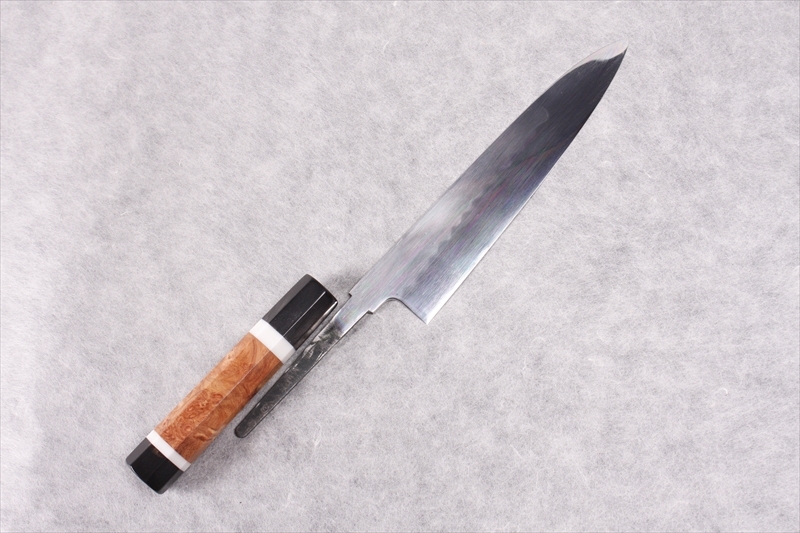 Top makers in Seki, Takefu, and Tsubame-sanjo, areas renowned for the manufacture of Western style kitchen knives, produce blades using various types of stainless steel in various patterns, such as the hammered mark and Damascus steel pattern. Takahashikusu makes Japanese original knives under the customer’s trademarks according to their demands. 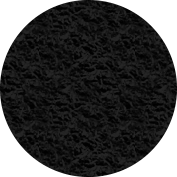 Let us introduce past projects below. 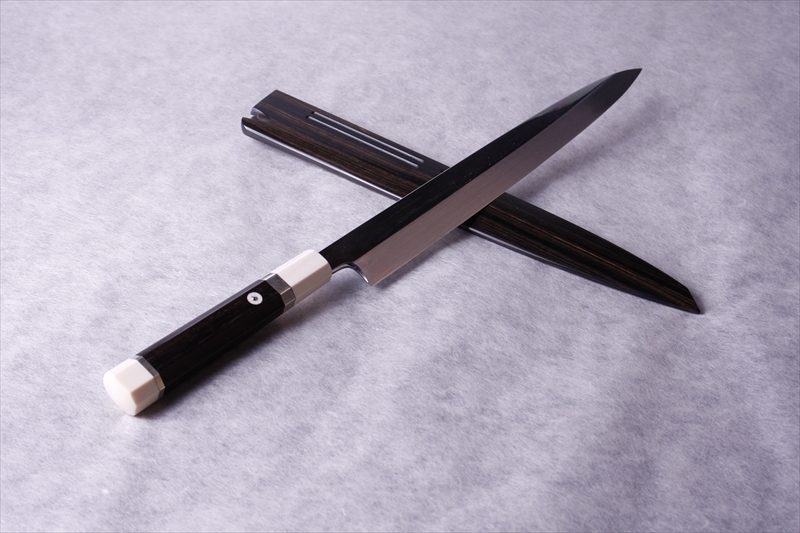 Takahashikusu distributes knives to market cutlers, hardware stores and retailers in urban areas, and kitchenware shops. Since our founding, we have been trading with retailers for 100 years and have served their various needs. Please feel free to contact us. At Takahashikusu, we do business with a wide range of clients including cutlers, hardware stores, retailers and kitchenware stores. Our founder Kusutaro Takahashi named it meaning “the knife of Kotetsu” in honor of “Kotetsu,” a famous Japanese swordsmith of the Edo period. 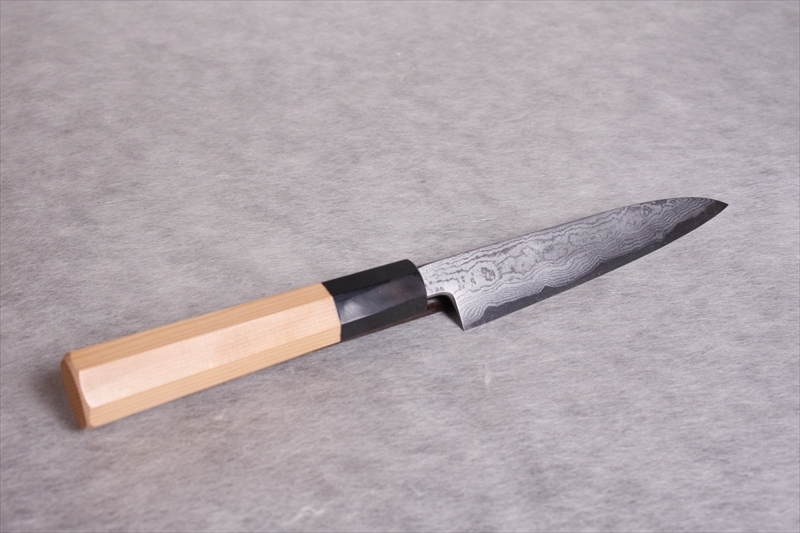 The signature “Ittosai Kotetsu” is engraved in our high quality knives. 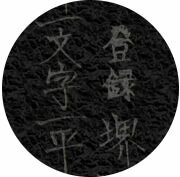 Sakai indicates that our knives originate in Sakai, and Ichimonji comes from the name of the swordsmith Ichimonji, as the roots of knifesmithing can be traced back to swordsmithing. 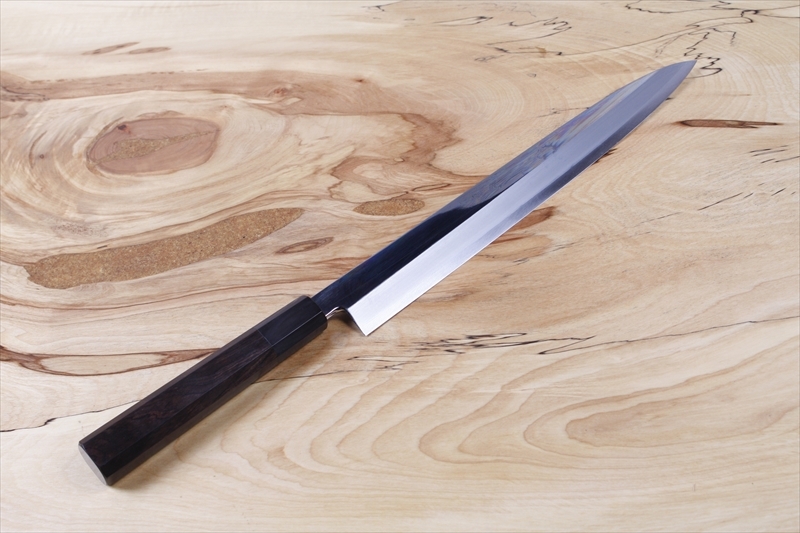 The signature “Sakai Ichimonji Ippei” is engraved in a wide range of knives from reasonably priced knives to high quality knives. Takahashikusu is celebrating its 100th year in business in 2017. This is all due to the support we received from our artisans, customers and business partners in Sakai and around Japan. At Takahashikusu, we have been creating each authentic Japanese knife carefully and wholeheartedly, gathering the skills and passion of the artisans. And this will not change for another 100 years. We will continue to deliver quality knives from various production areas to as many people as possible and we hope that they will make cooking more enjoyable. Your continued support would be very much appreciated.